Learn Modern Jive Dancing with London’s Top LeRoc Teachers. The well-crafted five week lesson plan is carefully structured to introduce new content while building on and reinforcing previous teaching, accelerating the speed of your learning. 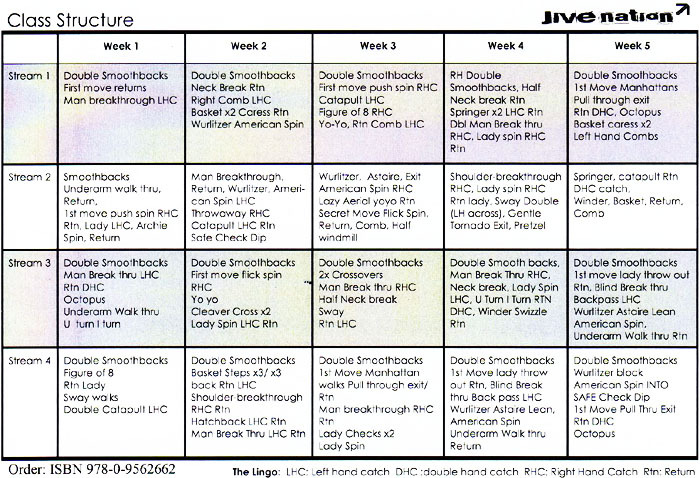 The Complete Beginners' Course: 40+ beginners' moves - in 20 bite size classes! 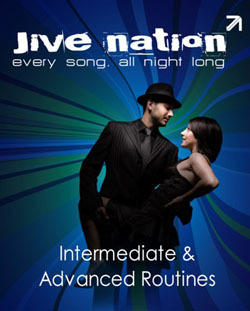 Jive Nation has been running popular dance classes throughout central London since 2006 and has gained a dedicated fan base. 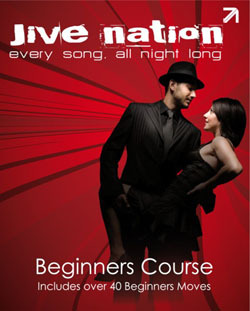 This DVD is an excellent revision aid to accompany live classes. The helpful tips and careful instruction of the skilled teachers can be replayed time and again until you are a confident and competent dancer. Take your freestyle and confidence to a whole new level. Sensational routines taught to camera by our resident teachers. In this DVD Kevin, Fluff and Roger introduce you to their sensational intermediate and advanced routines with helpful tips and careful instruction. Replay this DVD time and again in the privacy of your own home and master these spectacular moves.